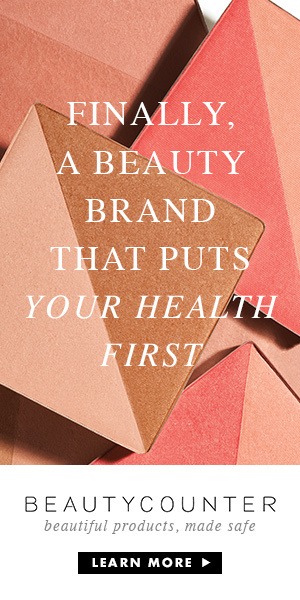 Shop Beautycounter for yourself or for Baby! Remember when everyone used the same products that everyone else used, even for their babies, just because they didn’t realize there was a better alternative? Now we know better, don’t we? Of course, all informed parents want what’s best for babies, and that applies to food, education, everything. With our skin being our biggest organ, skincare is a delicate subject for our little ones. If you’ve wondered whether those synthetic fragrances, dyes or ingredients you can’t easily identify in a popular baby product are really best for your baby, maybe you’ll be relieved to know there’s now another choice via Beautycounter. The collection includes a body wash, soothing oil and protective balm. The best part is you can read about every single ingredient before you buy the product. With Beautycounter leading the way with safe skincare for adults and babies, you can be assured the ingredients have been screened. Thanks so much for supporting independent journalism by shopping Beautycounter with me and exploring the new products for babies!